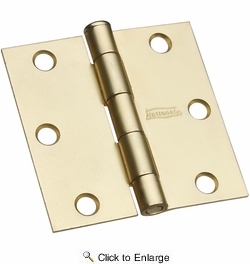 National N186-908 Square Corner 3" Door Hinge - Satin Brass -2 Per Package. Heavy-gauge cold-rolled steel for added strength. Flush pin for finished appearance. 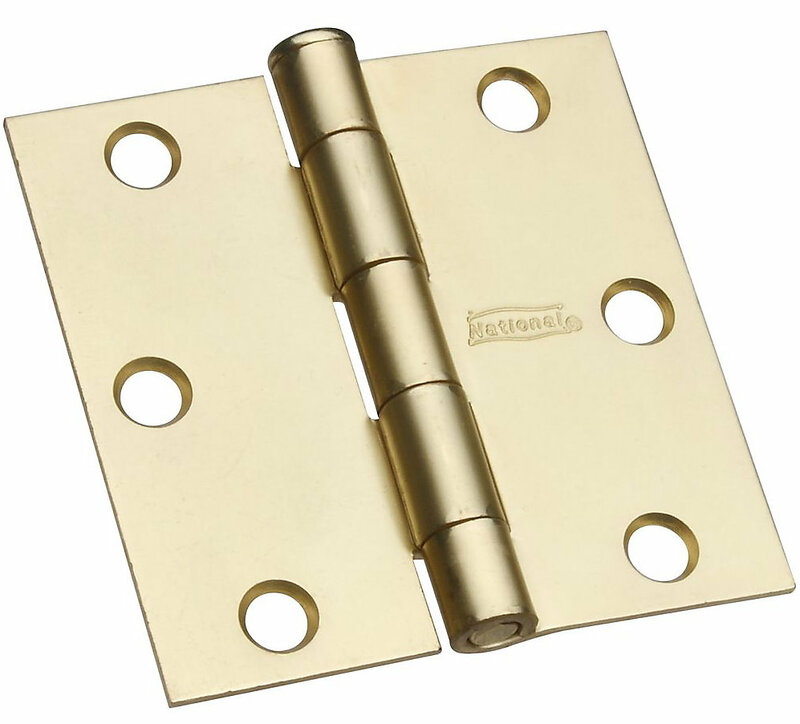 Five knuckle, full mortise design. Square corner design. Countersunk screw holes with fasteners included. Removable pin for easy installation and removal.